The George Wright Society is a membership organization governed by a Board of Directors, a majority of whose members are elected by the members, the rest being appointed. Here are biographical sketches of the current Board and staff. the only international historic site in both park systems. Nathalie is from the Anishinaabeg First Nation and was raised by Acadians in Wabanaki Territory in the Maritime Province of New Brunswick. She is very proud and considers herself lucky to share both of these heritages. After completing her undergraduate studies at St. Thomas University in Fredericton in French Language and Literature, she did her graduate courses at McGill University in Montréal. For the past 20 years, she has held a variety of positions where she dedicated her work to engage the voices of underrepresented people such as Aboriginal peoples, women and youth in both the Civil Society and in the Public Service. Her experiences spanned the national and international levels as “chargée de mission” for the New Brunswick Department of Intergovernmental and Aboriginal Affairs during the Hanoi (Vietnam) and Moncton Francophone summits; Chair of the New Brunswick Advisory Council on the Status of Women and Director of the Fédération des jeunes francophones du Nouveau-Brunswick. In 2004, in collaboration with Donald Soctomah, Tribal Heritage Officer for the Passamaquoddy tribes in Maine, she wrote a children’s book titled: Tihtiyas and Jean in French and English while Mr. Soctomah wrote the Passamaquoddy version. In 2005, the book won the iParenting Media Award and in 2010, the digital rights to the book were bought by the Belinda Stronach Foundation as part of the One Laptop Per Child Project. Jerry M. Mitchell had a long career with the U.S. National Park Service. He was Chief of the agency's Biological Resource Management Division and retired after 36 years of service, having worked in Yosemite, Grand Canyon and Zion National Parks, Washington, D.C. and Fort Collins, Colorado. Over the course of his career, he built park programs and managed park and service-wide resource management activities in a diversity of areas. He has experience in wildlife biology; fire, vegetation, river/regulated river, invasive species and visitor management; and park planning. He served as USNPS Project Manager in Phase II of the Glen Canyon Environmental Studies, the interagency research program focused on Glen Canyon Dam operations and effects on Grand Canyon National Park. After the Yosemite flood of 1997, he took a position working for the Superintendent, assessing options to achieve the restoration goals of the Yosemite General Management Plan. He was NPS principal in partnering with University of California Merced as they established the Sierra Nevada Research Institute. He was a Fellow with the National Park Foundation in Washington, D.C. He received a Master of Science degree in Biology and Bachelor of Science degree in Wildlife Biology, both from West Texas A&M University. In retirement he remains engaged with the USNPS, developing training for natural resource professionals. He is also consulting and writing novels. Armando Quintero joined the George Wright Society board in 2015. He currently serves on the California Water Commission, having been appointed by Governor Brown in June 2014. The Commission provides a public forum for discussing water issues, advises the California Department of Water Resources, and takes appropriate statutory actions to further the development of policies that support integrated and sustainable water resource management and a healthy environment. Armando is the executive director of the Sierra Nevada Research Institute at UC Merced. He also supports a new multi-campus UC Water Security and Sustainability Research Initiative designed to build a strategic base of water knowledge to help California and the nation achieve a water-secure future. He previously served as the Institute's director of development from 2008 to 2014. Armando was an independent environmental educator from 1998 to 2008 and previously spent over 20 years with the U.S. National Park Service. He served in numerous positions during his park service career including assignments with the Golden Gate National Recreation Area, Point Reyes National Seashore, Sequoia and Kings Canyon National parks, and the John Muir National Historic Site. Mr. Quintero lives in San Rafael, California and has served on the boards of several non-profit organizations in Marin and California. He earned his bachelor’s degree in environmental sciences and biology from California State University, Hayward. Ryan Sharp is a professor at Kansas State University in the Department of Horticulture, Forestry and Recreation Resources, where he teaches and conducts research related to human dimensions of natural resources. 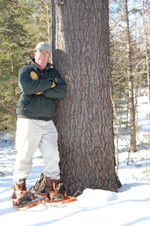 Dr. Sharp’s past research has focused on public perceptions of invasive species on public lands, visitor support for black bear management techniques, and effectiveness of interpretation programming. Other projects include examining the effectiveness of environmental education programs, hunting motivations, and values related to climate change. Before coming to Kansas, Dr. Sharp worked with the National Park Service visitor use management team at the Denver Service Center, focusing primarily on issues related to user capacity and mitigating visitor use impacts. He also spent one summer at Acadia National Park as a recreation technician. Dr. Sharp earned his PhD in Natural Resources Recreation and Tourism from the Warnell School of Forestry and Natural Resources at the University of Georgia, and his Masters in Outdoor Recreation Administration from Georgia College. In addition, Dr. Sharp has pursued trainings related to wilderness medicine, Leave No Trace, and protected lands administration. In his free time, Dr. Sharp enjoys backpacking, hiking, and visiting National Parks with his family. 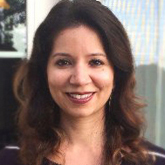 Zarnaaz Bashir joined the National Recreation and Park Association (NRPA) in October 2009 and is the Director of Strategic Health Initiatives. She is responsible for shaping and leading the vision of NRPA's health and wellness portfolio, which includes overseeing programs that work to reduce chronic diseases and build healthier environments through parks and recreation, identifying new partnerships and stewarding existing relationships in health and wellness, and seeking fundraising opportunities. Prior to joining NRPA, Ms. Bashir worked at the National Association of County and City Health Officials (NACCHO) as a Senior Program Manager for Public Health Preparedness, overseeing grants from the Centers for Disease Control and Prevention's Coordinating Office of Terrorism Preparedness and Emergency Response to support local health departments' readiness to respond to public health emergencies and other disasters. Previous work experience includes completing a fellowship with the American Cancer Society (ACS) to develop and conduct a needs assessment to evaluate cancer services for the poor and underserved populations in Prince George's County, Maryland, and at the American Lung Association of Northern Virginia to implement anti-smoking and asthma maintenance programs in area elementary schools, and evaluating these programs. Ms. Bashir received her Masters of Public Health from The George Washington University School of Public Health and Health Services, with an emphasis on health promotion and disease prevention. Over the years, Ms. Bashir has contributed to various journals for publication, including Childhood Obesity, Journal for Public Health Management and Practice, and the Journal of Community Health. David was an ecologist and science manager who worked for the National Park Service for mearly 40 years. He closed out his career as the Chief Scientist for the Pacific West Region of NPS, which includes the 6 western-most states south of Alaska. His Ph.D. research on black bears in Yosemite guided human/bear management programs in many parks that emphasized food storage. For the remainder of his career he was based at Sequoia and Kings Canyon National Parks, in the Sierra Nevada of California. During much that time, David was a field research biologist with NPS as well as USGS, studying species-habitat relationships and exploring the use of extensive field inventories combined with GIS for improved environmental analyses. He helped pioneer that NPS Inventory and Monitoring Program. In more recent years, his work concentrated on better informing park and reserve conservation and management, as well as the management of broader mixed-use landscapes, through science. This has included the management of plant and animal populations, wilderness stewardship, biotic inventories, and environmental monitoring. In recent years, a large portion of Graber’s efforts were devoted to the problem of climate change effects, and how parks can adapt to those changes. 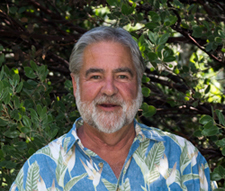 Over the years, David has served on a variety of Congressional, agency, and NGO advisory panels, including the Sierra Nevada Ecosystem Project; Giant Sequoia National Monument Science Advisory Committee; National Wilderness Steering Committee; Sierra Nevada Forest Plan Amendment Science Panel; Trust for Public Land Science Advisory Panel. He continues to serve on several endangered species recovery teams. He was awarded the U.S. Department of Interior Meritorious Service medal in 2000. David graduated from the University of California with a B.A, in Political Science (1970). After several years of work and adventure, he returned to Berkeley’s College of Natural Resources to obtain an M.S. (1976) and then Ph.D. (1981) in Wildland Resources Science. His graduate dissertation was Ecology and management of black years in Yosemite National Park. 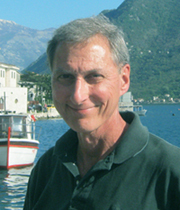 David is presently an Emeritus scientist with NPS, providing consultation services to several federal natural resources agencies. He joined the George Wright Society shortly after its establishment, and originally served as a Director in the 1990s. David Reynolds recently retired from 37 years with the National Park Service in 2015 after a 40-year career in protected area management, primarily in the natural resource management and international capacity development fields. Dave’s most recent NPS assignment was with the International Union for Conservation of Nature’s Global Protected Areas Program. He served as a Senior Adviser for Capacity Development and was instrumental in determining global training needs and in coordinating the production of protected area publications for an international audience. In addition, he led a World Commission on Protected Areas (WCPA) Specialist Group that developed and launched a 10-year IUCN Strategic Framework for Capacity Development at the 2014 World Parks Congress. The Framework’s aim is to provide individuals, organizations, and wider society with the capacities that will enable and support the transformational change required to mainstream protected areas into broader societal goals. Dave previously served as the NPS Chief, Natural Resources and Science, Northeast Region, overseeing over forty natural resource scientists and specialists, in diverse areas such as water resources, air quality, coastal geology, wildlife management, integrated pest management, inventory and monitoring and geographic information systems, that supported the 81 parks of the Northeast Region. He coordinated the NPS involvement in interagency programs with the USFWS, USGS, MMS, USFS, NOAA, state governments and others. These programs included the Northeast Regional Ocean Council, the Chesapeake Bay Program and the Mid-Atlantic Federal Partners for the Environment. He was the NPS principal for planning two major DOI Climate Change Workshops 2008 and 2010. He oversaw the management of the park planning and environmental compliance programs in the NE Region at various times. In the 1990’s he led the development of a controversial two-year Gettysburg National Military Park Deer Management Plan/EIS that resulted in the implementation of a long-term deer culling program at the Park. Prior to working in the Northeast Region, he was the first Chief of Natural Resources at New River Gorge National River in the early 1980’s. Later he was assigned to the U.S. Peace Corps office in Washington, D.C. in the late 1980’s where he assisted Peace Corps Country Directors in developing assignments and conducting pre-service and in-service training for parks, wildlife and environmental education Volunteers and their host country counterparts. Dave’s first contributions to protected area management was in 1976 when he served as a Peace Corps park biologist in the Comoe National Park in Cote d’Ivoire and in the St. Floris National Park in the Central African Republic. Over his career, he has carried out long and short-term protected area assignments for USAID, US DOI, IUCN, Peace Corps and NPS in more than 30 countries. Dave is currently a protected areas consultant, an active member of the WCPA Capacity Development Specialist Group and on the Board of Directors of The Nepal Foundation. He has a BSc in Wildlife Biology from UMass and a MSc in International Environmental Systems Management from the American University. Chris is the Director of the Institute at the Golden Gate, a US-based group with the mission of making parks and public lands part of the solution to major societal challenges like our healthcare crisis, climate change, and urban development. He also serves as Vice President of Strategy and Innovation for the Golden Gate National Parks Conservancy, the Institute's parent organization. Chris has over 20 years' experience working internationally and in the United States on sustainable development, conservation, climate change, and health policy. He has held leadership positions at non-profits in New York, New Zealand and California. He has also served as a political advisor and is an award-winning writer. Chris is the author or co-author of several books, including Global Warming: Personal Solutions for a Healthy Planet (Palgrave Macmillan, 2005). He holds an MA (Hons) in Political Science and International Political Economy, and a BA in Politics and History, both from Victoria University. Chris has served on a number of boards and advisory groups since the early 2000s. 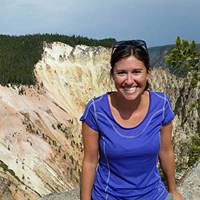 Jennifer Thomsen is an Assistant Professor of Parks, Tourism, and Recreation Management in the Department of Society and Conservation at the University of Montana. Jenn earned her Master’s in Wildlife and Fisheries Biology and her PhD in Parks and Conservation Area Management from Clemson University. Bridging her natural science and social science backgrounds, her research focuses on four main areas: 1) stakeholder collaboration associated with large landscape conservation, 2) sustainable tourism, 3) the relationship between human and ecosystem health, and 4) environmental education and interpretation. Jenn’s work takes place in many national and international contexts including the Crown of the Continent, the Greater Yellowstone Ecosystem, southern and eastern Africa, India, Peru, Haiti, and the Dominican Republic. She has done numerous projects with the National Park Service including the development of the Healthy Parks, Healthy People Science Plan and studies on interpretation and education programs, and international visitation and planning. In her work on large landscape conservation, she has been involved in the revitalization of the U.S. biosphere reserve program and serves on the National Committee. As a new board member for the George Wright Society, Jenn is excited to integrate her passions into her professional work and to engage with diverse and dynamic partners! Lynn is a regional park planner with the Capital Regional District (CRD) in Victoria, British Columbia, Canada, where she has led numerous park planning and management initiatives on behalf of the region’s spectacular 34,000-acre natural areas system. Prior to joining the CRD, Lynn worked as a coastal planner for the Province of British Columbia and a research analyst for the University of British Columbia’s “Resilience and Capacity Development in B.C.’s Coastal Communities” project. Lynn has also worked for The Nature Conservancy in Arlington, Virginia as manager of their Belize and Bahamas country programs, and she has undertaken extensive research on park systems throughout the world. Lynn is originally from Sacramento, California and comes from a distinguished parks family; her late father, Norman L. Wilson, spent his career with the California Department of Parks and Recreation as Chief of Interpretive Services and was a well-known authority on the California Gold Rush and native California Indians. Lynn is following in his footsteps by devoting her career to the advancement of parks, protected areas, and cultural heritage conservation in the U.S., Caribbean, and now Canada. Lynn has a B.A. in Anthropology and a M.A. in Parks and Recreation Administration from California State University Chico, an M.A. in Community and Regional Planning from the University of British Columbia, and is completing a Master of Public Administration degree from the University of Victoria. She is a member of the Canadian Institute of Planners (CIP) and is a registered professional planner. 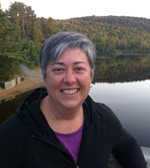 Lynn sits on the CIP’s International Affairs Standing Committee, and is a member of the IUCN’s World Commission on Protected Areas, and the Canadian Committee of the IUCN. In addition, Lynn sits on several local park commissions and is very active in her community. She enjoys the outdoors, research, writing, and travel. Jennifer Palmer is a conservation scientist, educator, and wildlife biologist who strives to inspire, unite and support conservation visionaries and changemakers. Her career is a unique blend of scientific research and partnership development in the United States and internationally in over 35 countries across SE Asia, Africa, Latin America, the South Pacific, the Caribbean, and Europe. 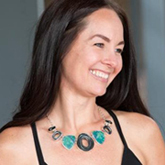 With over 15 years experience, she holds an astounding record of success with organizations such as the International Union for Conservation of Nature (IUCN), National Marine Fisheries Service, WILD Foundation, Climate Reality Project, Ocean Foundation, Earth Vision Institute and many other conservation and education non-profits. She holds a master’s degree in Applied Ecology and Conservation from the University of East Anglia, UK and a bachelor's in Biology from the University of California, Santa Cruz. As a Kinship Conservation Fellow, she has worked alongside luminaries such as Dr. Sylvia Earle and Dr. Wallace J Nichols. Jennifer is also the founder of Women for Wildlife, an initiative committed to promoting women as leaders in the fields of conservation and wildlife biology. Personally, Jennifer enjoys traveling, exploring nature, dance, yoga, photography, hiking, and walking along the sea. After serving as GWS executive dierctor from 1998 to April 2017, Dave now co-edits The George Wright Forum on a contract basis. He also edits and maintains Parkwire, the GWS's daily news digest. A member of the GWS since 1985, Dave began working for the organization in 1990 and served as deputy executive director until being named executive director in 1998. He is active in IUCN's World Commission on Protected Areas. He also maintains a research interest in the relationship between biological and cultural diversity, having co-founded the NGO Terralingua, which is devoted to that subject. Dave has co-edited several volumes on protected area conservation, including The Antiquities Act: A Century of American Archaeology, Historic Preservation, and Nature Conservation (with Francis P. McManamon and Dwight T. Pitcaithley), The Full Value of Parks: From Economics to the Intangible (with Allen D. Putney), and A Thinking Person's Guide to America's National Parks (with Robert Manning, Rolf Diamant, and Nora Mitchell). Emily is the logistics coordinator for the GWS’s biennial conferences and also organizes conferences that the Society jointly sponsors with other organizations. Emily has a B.S. 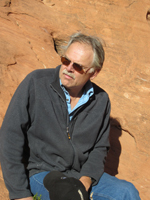 in Resource Planning and Conservation from the University of Michigan School of Natural Resources (1973) and did graduate work at Utah State University. She worked 10 years with the National Park Service and 6 with the U.S. Fish and Wildlife Service in a variety of planning and resource management jobs in parks and refuges in Utah, Colorado, New Mexico, Texas, and Alaska. Rebecca is Professor Emerita of History at Middle Tennessee State University, where she directed the public history graduate program and taught American environmental history. While completing her doctoral work at UC Santa Barbara, she co-founded PHR Associates, a historical research firm based in Santa Barbara, California. Prior to entering teaching full-time in 1992, she was a principal partner with Tallgrass Historians L.C. of Iowa City, and she maintains associate status with this firm. As a consultant, she has specialized in historic preservation and cultural resource management services, which has given her countless opportunities to explore America's cultural and natural landscapes, from the bowels of deactivated Nike missile silos in the Angeles National Forest to meandering stonewalls in remote areas of Massachusetts. She is a native of Iowa, a place she returns to often. Her major publications include Places of Quiet Beauty: Parks, Preserves, and Environmentalism (1997), Tallgrass Prairie National Preserve Legislative History, 1920-1996 (National Park Service, 1998), and Benjamin Shambaugh and the Intellectual Foundations of Public History (2002). She has contributed chapters to Proceedings of the Kansas History and History of the Great Plains Symposium (2001), Public History and the Environment (2004), and The Antiquities Act: A Century of American Archaeology, Historic Preservation, and Nature Conservation (2006), and also published articles in The Public Historian, George Wright Forum, Environmental Review, The Annals of Iowa, Journal of the Iowa Academy of Science, and Iowa Conservationist. 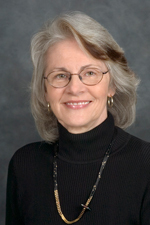 She is a past president of the National Council on Public History (2002-2003); and she has received awards for her publications and for her contributions to public history from the American Association for State and Local History, the State Historical Society of Iowa, the Iowa Department of Natural Resources, the California Council for the Promotion of History, and the California Preservation Foundation.